This is the true story of Alejandro and Janna, and how they designed the perfect custom engagement ring to start their life together as husband and wife. We met on the beach, during our orientation week for our first year at medical school. We started dating about a month later and we’ve been together about a year. I wanted to have fun with the multiculturalism that is one of our favorite aspects of our relationship. I hired a mariachi band, got a traditional charro suit, and serenaded her on the rooftop of a hotel downtown, all in front of our friends and family. It was a great surprise! Where did the inspiration for the design come from? 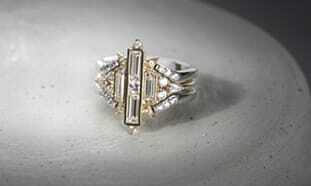 I paid attention to her comments about rings we saw at the mall or online. Pro tip: I also looked at her Pinterest boards! Did we meet all of your expectations from design image to finished design? 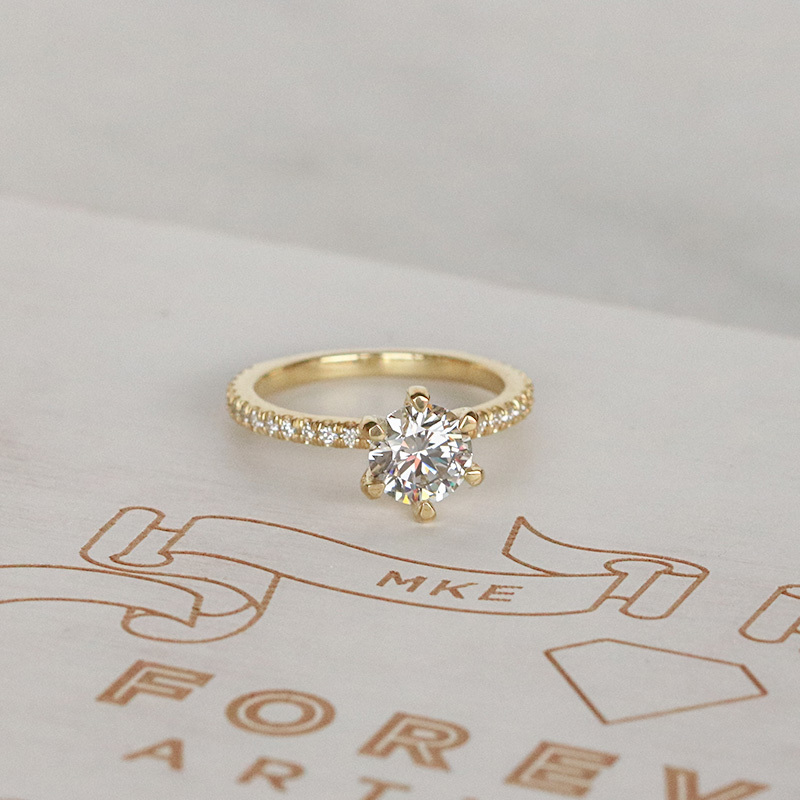 I first read about Forever Artisans in a BuzzFeed article when I began my search for an engagement ring. I loved the fact that I could submit a design for them to make from scratch. They met and exceeded all of my expectations! Such a beautiful and inspirational story. Congratulations to you both. I love your ring, of course.